New iPhone 5 to launch with dual-core chip? New components for the new iPhone 5 have surfaced, suggesting it will be underpowered compared to rivals. 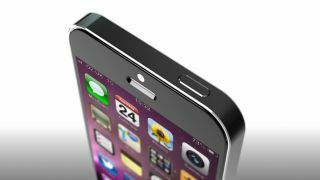 The new iPhone is set to launch within the next month and components have been pouring onto the web. The newest item is a logic board exposed to show more of the phone's innards, but what's more interesting is the fact Apple could be bringing the iPad 3's A5X chip to the iPhone 5. This is only a dual-core offering, which would put the new handset behind the likes of the HTC One X, Samsung Galaxy S3 and LG Optimus 4X in the smartphone power wars. However, it's worth noting that power isn't everything and the graphical grunt of the iPad 3 would still be impressive on a new iPhone – a lower speed of CPU will certainly help with battery power too. Given that we've possibly seen the iPhone 5 battery already without much of a power increase, this seems plausible – here's hoping that Apple can keep up with the rest of the pack when it comes to making a decent smartphone experience.